Have you ever leaned over a railing and felt your stomach drop at the sight and perceived depth of the stories below you? Normally I stay away from railings because of my fear of heights and because I feel like I might drop down to my death if I lean too forward. Silly, but that’s what I feel every time I look down, anyway. 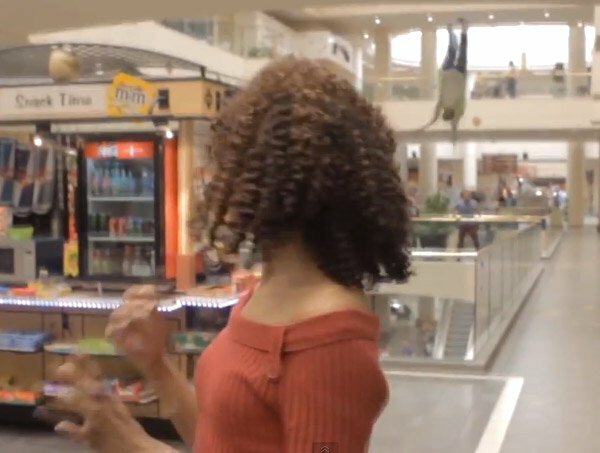 Making people all over realize this fear is magician Rahat Hussein, who pulled a third-story fall prank on unsuspecting people shopping at the mall. If I were there, I’d probably scream my head off and stay away from railings for good. Rahat pranked individuals who thought they were auditioning to be a television show host. Instead, they ended up with no gig and a huge scare after the fake interview.